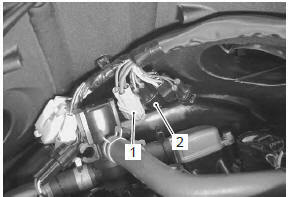 Disconnect the ignition switch lead wire coupler (1). 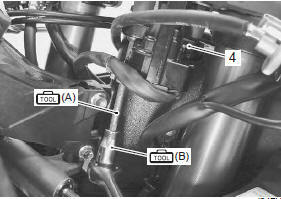 Disconnect the immobilizer lead wire coupler (2). 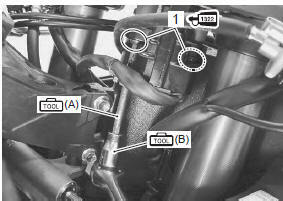 Remove the harness clamp (3). Remove the ignition switch (4) with the special tools. Install the ignition switch in the reverse order of removal. tighten the ignition switch mounting bolts (1), right and left with the special tools. 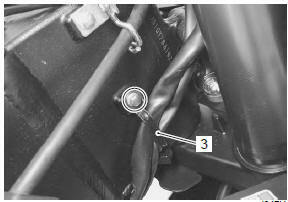 when reusing the ignition switch bolts, clean the threaded part and apply a thread lock to them.